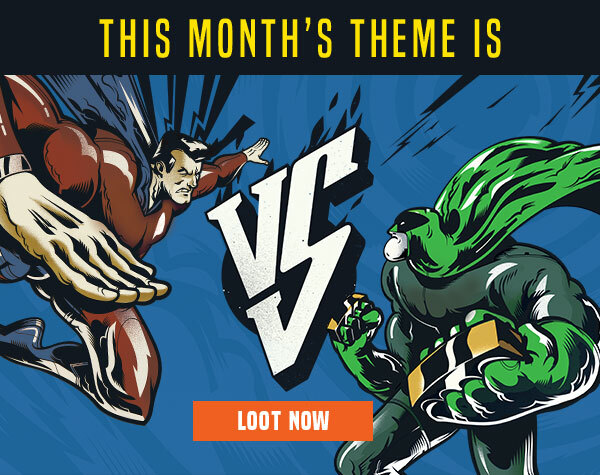 This theme like last month is coinciding with a movie release. It’s not a bad thing especially if we get some sweet loot! I’m more of a Marvel fan but I’ve liked the recent Superman movies. I think Batman vs Superman is going to live up to the hype. I hope Bruce Wayne has a Boston accent (kidding). The new season of Daredevil on Netflix is also being highlighted in this theme. With a reveal of John Bernthal as Frank Castle, the Punisher, we should see a Daredevil vs Punisher story line. 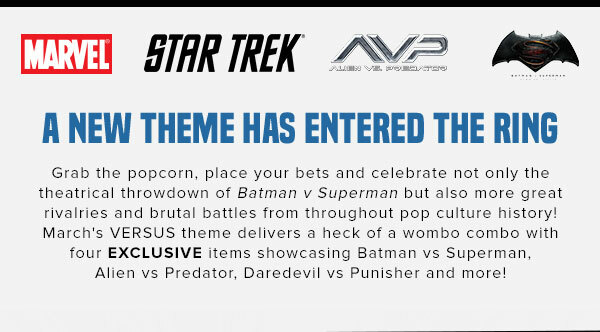 Star Trek and Alien vs Predator items will also be included in this crate. Previous Article Open Workout 16.1: What a Way to Start the Open!